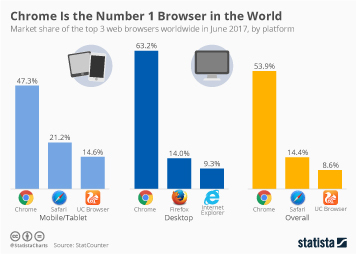 Comparing the worldwide usage of internet browsers, Google’s Chrome clearly emerges as the winner of the international browser wars. 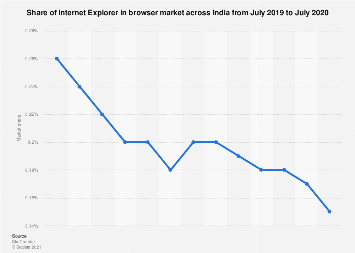 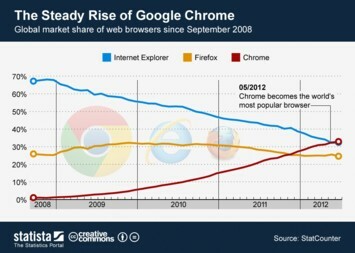 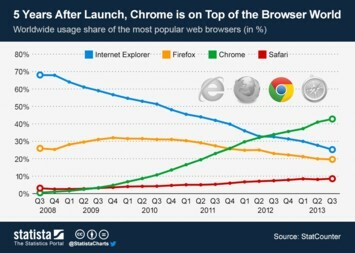 Before Chrome was released in 2008, Microsoft’s Internet Explorer was still leading the game with a market share of 68%, which has dropped to 25% in July 2013. 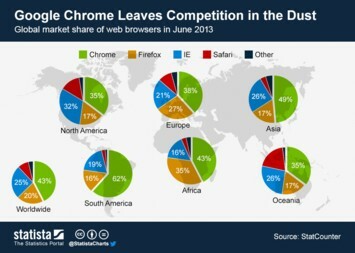 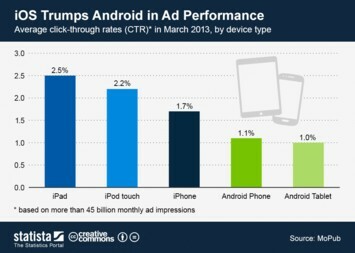 Chrome is doing especially well in South America, almost squeezing Apple’s Safari out of the market. 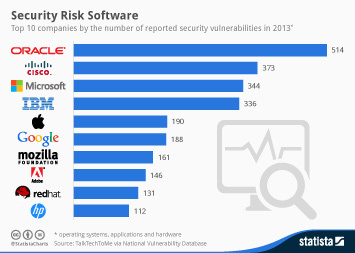 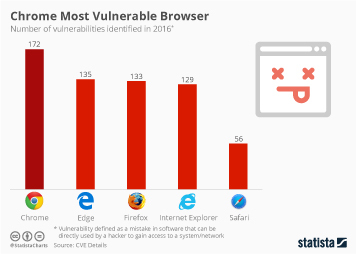 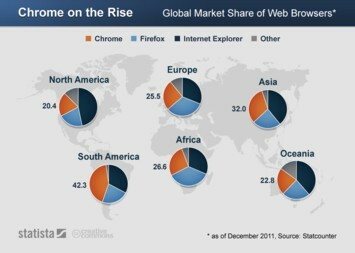 Mozilla Firefox is the only open-source browser competing on an international level, its worldwide market share of usage adding up to a remarkeble 20%. 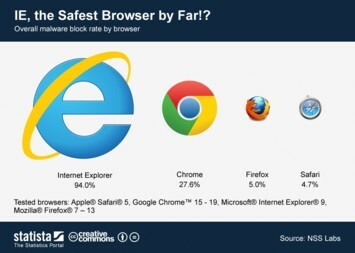 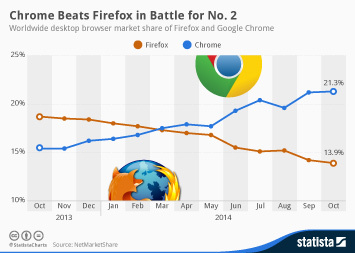 In Africa and Europe, Firefox even beats the Internet Explorer.